Just when you thought Vegas couldn’t get any better during the week, Thursday comes along and shatters all expectations of what Las Vegas can offer! This weekday marks the beginning of a long weekend ahead. Tourists from the upcoming week that think they can handle 3-4 nights of Las Vegas come early and the overall traffic in the city starts to increase significantly. This night is one that you can’t afford to miss if you are in Las Vegas! Click here to inquire about what there is to do! Tao Nightclub headlines the Thursday night festivities as it doubles into both a 5 Star Restaurant and a Top Flight Nightclub. The Asian Bistro serves some of the cities most delectable entrees, in a high end, star studded restaurant that makes you feel like you are dining amongst the kings and queens of the world. Once you finish your meal, head on upstairs to the Asian themed Tao Nightclub. This compact nightclub is always flooded with the cities most beautiful women on Thursday nights. Tao’s model revolves around having beautiful girls in the venue at all times, so if you are looking to meet a new girlfriend for the night, or for the weekend. Tao serves as the perfect starting point for an incredible weekend in Las Vegas. Click Here for More information on Both Tao Nightclub and Tao Restaurant. Hakkasan Nightclub starts its weekly party lineup on Thursdays, Residents like Las Vegas legends Tiesto and Lil Jon normally kick off Thursday nights. Hakkasan is a 5 floor Nightclub, Lounge, and Restaurant. It is arguably one of the original super clubs on the strip, opening back in 2013 it has become one of the cities top venues and it holds true even to this day going into 2018 and beyond! 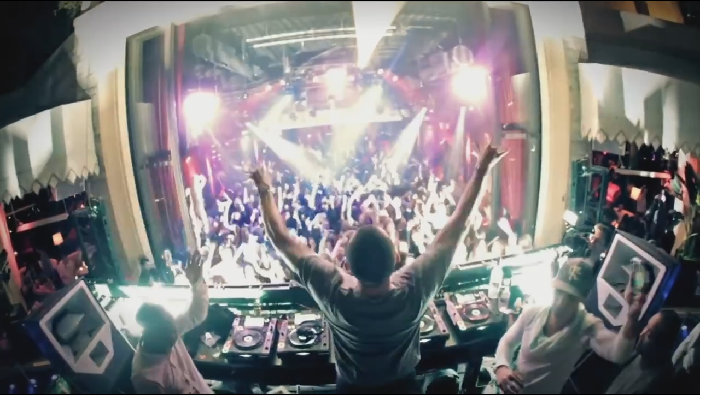 This club mainly plays Electronic Dance music, but also has a separate Hip-Hop only room called the Ling-Ling Room! So no matter what your party music preference is, Hakkasan has it for you! 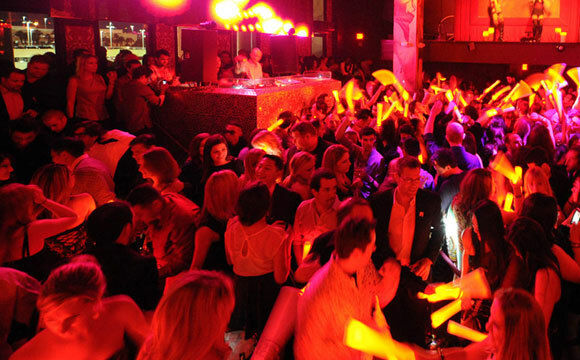 Click Here for more information on booking bottle service at Hakkasan Nightclub on a Thursday Night. If you are looking for the Best Hip-Hop nightclub in the world, look no further than Drai’s Nightclub @ The Cromwell Hotel & Casino. This Ultra-Lavish Nightclub and Beachclub has been turning heads and providing some of the best views on the strip. Perched 11 stories on top of the Cromwell, this $100 million + club is the only full sized mega club on the rooftop of a Las Vegas Hotel. Built and opened in 2014, this club has evolved into the best place on the strip to see some of the top Hip-Hop Performers in the World. Residents include Future, Chris Brown, Lil Wayne, Big Sean, Nelly, Ty Dollar $ign, and Trey Songz. This hip-hop cornucopia is the only true 100% all hip-hop venue on the strip. It kicks off its weekend festivities on Thursday nights with the Coolest DJ in the World, DJ Esco. This young MC/DJ/Producer provides a high energy performance of the top hits in the hip hop world, most of which he has produced. 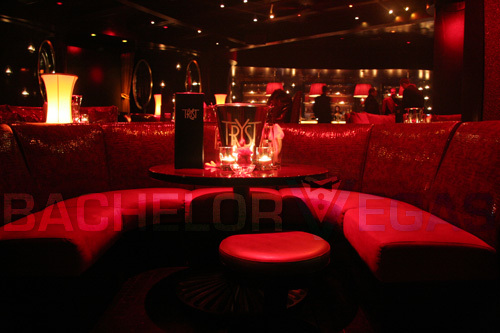 Click here to inquire about bottle service at Drai’s Nightclub on a Thursday night. 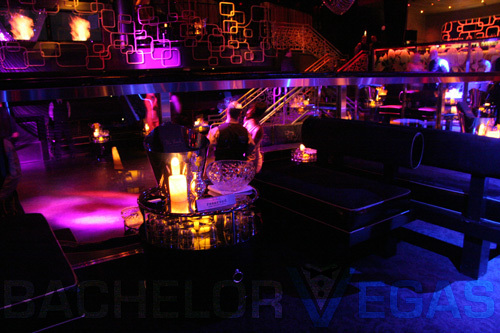 Thursday’s definitely provide a plethora of high end nightlife options. 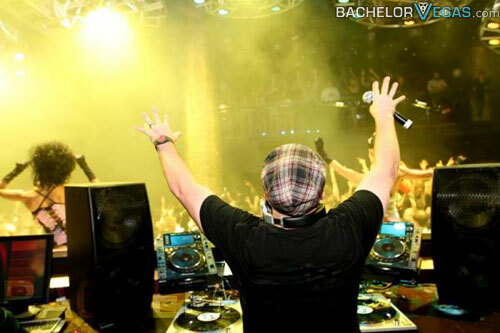 Let BachelorVegas.com handle every question and request you might have if you find yourself in town on any given Thursday night! Contact us directly by Cell Phone (702)-563- 9047 or by clicking Here to send us an email!